The wait is over, the result is out and the winners of the most coveted dance show Nach Baliye 6 is non other than Rithvik Dhanjani and Asha Negi. The winner takes home a Renault Duster Car, Rs 35 lakh, a holiday package to Gold Coast, Australia and a Gold Trophy. The grand finale was a grand affair as expected, with some breathtaking performers from Shilpa Shetty, Sajid Khan and Terence Lewis along with all the couples. The couples who made it to the final four were: Gurmeet Choudhary with Debina Bonnerjee, Master Chef Ripudaman Handa and Shivangi Verma, Ritwik Dhanjani and Asha Negi and last but not the least Vinod Pradhan and Raksha Pradhan. Making their presence felt on Nach Baliye 6 were Farhan and Vidya who were there to promote their film Shaadi Ke Side Effects. Farhan was dressed in a pair of khaki trousers, a grey t-shirt and a denim jacket while Vidya chose a Anand Kabra blue maxi coupled with Amrapali jewellery. Shilpa Shetty was very upbeat post her aerial act and stated that she would love to return as judge of the show next season as well because of the immense love she has received. ”I would love to come back next season. I love it when I meet and also people love me and the show. I have got a lot of love because of the show,” said Shilpa with her sparkling smile. The journey began three months ago with eleven celebrity couples; comedian Raju Shrivastav and Shikha Shrivastav, Television Couples Raquesh Vashisht and Riddhi Dogra, Kanica Maheswari Ghai and Ankur Ghai, Gurmeet Choudhary with Debina Bonnerjee, Master Chef Ripudaman Handa and Shivangi Verma, Yash Sinha and Amrapali Gupta, Kiku Sharda and Priyanka Sharda, Bruna Abdullah and Omar Farooquie, Sanjeev Seth and Lata Sabharwal, Ritwik Dhanjani and Asha Negi and Vinod Pradhan and Raksha Pradhan. A big thumbs up for both Rithvik Dhanjani and Asha Negi. It's not just the participants who are gearing up for 'Nach Baliye' finale, even judge Shilpa Shetty will be seen doing an aerial act on the dance reality show. Known for her dance moves, it is for the first time that Shilpa Shetty will ever do an aerial act. With the nearing of the finale, Shilpa Shetty, who is the judge on the show, wants to return to the new season of the dance reality show. "I love it when I meet people somewhere and they ask me to say 'super se upar'. That has kind of made its mark and people love me and the show. I have got a lot of love because of the show," she adds. Shilpa Shetty has been judge on the dance reality show since its fourth season. The grand finale of 'Nach Baliye 6' will be aired Saturday on Star Plus. It was a starry affair on Nach Baliye 6 (Star Plus) when the top celebrities of TV and Bollywood were under one roof. Saif Ali Khan came to the show for the promotion of Bullett Raja and his baliye Kareena Kapoor Khan came on the show with co-star Imran Khan for the promotion of Gori Tere Pyaar Mein. The stars were a treat to watch and all of them dance their hearts out setting the mood for the contestants who were nervous about the eliminations. Kareena and Imran will be seen in the coming Saturday's episode. With a grand entry on the popular track tooh, the actors had everyone grooving to the song. While Imran who was in a playful mood learnt some lavani step from chulbuli Asha, Dance-divas, Kareena and Shilpa couldn’t hold themselves back and set the stage on fire. The high point of the evening was when Kiku aka Kikina tried to woo Imran with her dance. Saif who was part of movie integration after a long time was a sport during the shoot. He played guitar with Rithvik on his request and also taught the contestants steps from his movie. The Bullett Raja hero also took Kiku who was dressed up as Kikina on hath gari spin on the show. Since Saif and Shilpa were under the same roof it was impossible to let them go without a dance. The actors shook-a-leg on their popular track haathon mein aa gaya jo kal rumal aapka nearly after 19 years of the film’s release leaving everyone amazed. Get hold of your dance shoes as Star Plus is back with its high profile celebrity dance reality show Nach Baliye 6. The season will soon kick start and some of the biggest names (read: couples) from the entertainment industry will be seen swaying their hips to impress the judges and masses. Browse through Tellychakkar.com to learn more about the jodis. Furthermore, earlier in the day we wrote about Nakuul Mehta and his wife Jankee backing out of the contest due to the latter’s knee injury. And now we are here to inform that Anup Soni and wife Juhi Babbar will not be a part of series as regular contestants, but throw a special guest appearance. We wish him and Juhi all the best!!! Vishal Karwal and Karishma Kotak likely to groove in Nach Baliye 6! Least people may know that models Vishal Karwal and Karishma Kotak post their friendship in Bigg Boss season 6 have come into a relationship and now they have been approached to be part of couple dance reality show Nach Baliye 6. Did you notice the common number six in both their shows? If buzz is to believe their sizzling onscreen appearance has landed them to have a great exposure in dance reality show. Vishal came into limelight after he participated in a youth entertainment adventure reality TV show, MTV Roadies Season 4, followed by his appearance on the same TV channel for another youth reality TV show MTV Splitsvilla Season 1, where he emerged as a winner. He subsequently moved to do daily soap and appeared in TV show Bhagyavidhata, Rishton Se Badi Pratha, Dwarkadheesh – Bhagwaan Shree Krishn. He met Karishma Kotak on the reality show Bigg Boss and eventually both started dating each other. If everything goes well, they will first time appear as a couple onscreen in Nach Baliye. Other celebrities who will be seen on the show include Gurmeet Chaudhary with wife Debina Bannerjee, Kanika Maheshwari with businessman husband Ankur Ghai, Amrapali Gupta with actor husband Yash Sinha, Nakuul Mehta with wife Jankee, Ridhi Dogra with actor husband Raqesh Bapat and Ripudaman Handa with his girlfriend Shivangi. 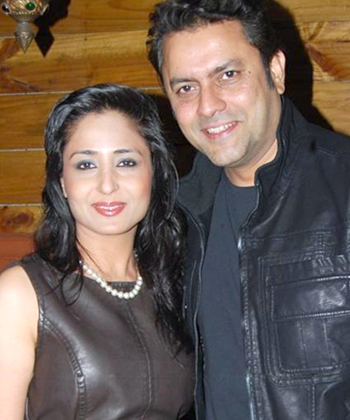 Sanjeev Seth and Lata finally say 'Yes' to Nach Baliye 6! The popular jodi from Yeh Rishta Kya Kehlata Hai – Sanjeev Seth & Lata Sabharwal Seth are the latest to have given a nod to Nach Baliye 6. They have been rejecting the show since last year but finally have decided to go ahead with it. The couple who has been rejecting Nach Baliye since last year is finally set to participate in the dance reality show this year. Even earlier this year they were hesitant to give a go ahead for the show but now it seems they have made up their mind and you will see the reel life turned real life couple Vishambharnath Maheshwari and Rajshri Maheshwari, aka Sanjeev Seth and Lata Sabharwal Seth from Yeh Rishta Kya Kehlata Hai in Nach Baliye season 6. While Sanjeev who says he is excited and nervous at the same time says, "It is an as yet unexplored territory for us but we will manage to conquer!" his partner Lata is more vocal about giving the nod. Says Lata, "We had been avoiding it since last year due to some or the other reason and we were saying kabhi haan, kabhi naa and that we would give it a thought next year but then finally I think we were destined to participate. Now that we are on it definitely feels great to be part of the show." This time round the couple feels that everything has fallen in place, "Even this year we had second thoughts when they offered it to us since my baby boy is just 5 months old but they were after us and are adjusting a lot according to my comfort. The choreographers are even ready to come to my home and teach us while the shoot place luckily is very close to my residence. So seeing all this we agreed to do it. And of course, Nach Baliye is a brand name anyone would want to get associated with," elaborates Lata. It also helped that the couple are a part of a show which is being aired on the same channel as Nach Baliye. So both, the channel Star Plus as well as the producers of Yeh Rishta... are being co-operative, says Lata, "As it is Rajan Shahi's production unit has been very accommodating towards me. I am shooting for only 6 hours a day and that too only for 10 days a month and even for Nach Baliye the shoot will be once a week, so I don't feel there will be any problem as such." There are various advantages too, that the couple feel they will have now that they are on board. "Well, the most important advantage is that with all the dancing involved I think I will be able to knock off the left over 6 kgs of my extra weight I have gained during my pregnancy," laughs Lata. And on a serious note adds, "Also at this age and stage of our career where both of us are playing parents of youngsters in a daily soap there is not much variety we can get to do in our field. It is difficult to find good opportunities so this type of a different show is definitely an advantage for us to showcase our skills." Amongst the two, while Sanjeev comes across as the shy one, Lata is a graceful dancer who enjoys shaking a leg even at parties and has also done a dance reality show Saas V/s Bahu... Kaun Kisse Nachayega on Sahara One. So, how are they preparing for this latest assignment? "The dance reality show I did was almost 7 years back and things have changed a lot since then... but yes, I do enjoy dancing and thus I am very much looking forward to it too. While I and Sanjeev have performed for award functions it is not the same when it comes to a dance reality show where you are competing with other celeb dancers. So I am leaving everything on the choreographers who will have to guide us totally." Well, from our side we wish all the luck to these brand new parents who are set for on an exciting new venture. All the best Sanjeev and Lata for Nach Baliye! Aakanksha Singh with fiancé Kunal Sain likely to shake a leg in Nach Baliye 6! Recently it was reported that telly couple Raqesh Vashisht and Ridhi Dogra has been finalized for the upcoming season of Nach Baliye. Now, latest it is gathered that our favorite actress Aakanksha Singh, who rose to fame with Na Bole Tum Na Maine Kuch Kaha season 1 and 2, has been approached along with her fiancé Kunal Sain to participate in the reality show, aired on Star Plus. “Aakanksha Singh and Kunal Sain who recently got engaged, have been approached for Nach Baliye. The talks are on with them but no concrete decision is yet taken,” said sources. We must say the forthcoming sixth season of the show is expected to feature one of the most popular Jodis of Indian television. Other names of jodis that are making rounds are, Kanika Maheshwari and Ankur Ghai, Karan Singh Grover and Jennifer Winget Grover, Nakkul Mehta and Janki, Gurmeet Choudhary and Debina Bonnerjee, Sanaya Irani and Mohit Sehgal, Sourav Ganguly and Dona Ganguly, Shabbir Ahluwalia and Kanchi Kaul, Aashka Goradia and Rohit Bakshi, Sunny Leone and Daniel Weber, Pooja Gor and Raj Singh Arora, Master Chef India winner Ripudaman Handa and Shivangi. Kapil Sharma approached for Nach Baliye 6! You have seen laughter king Kapil Sharma tickling down eveyone’s funny bones, and even saw him singing on various platforms, now if buzz goes correct then our favorite Kapil would come on the dance floor of Nach Baliye season 6 in an attempt to cash in on his ever-increasing popularity. Sources close to the production team of Nach Baliye revealed that the team has approached Kapil, along with his alleged girlfriend Preeti Simoes, who is associated with his production house K9. The team member of K9 gushes over the chemistry and understanding of Kapil and Preeti, who have together been working for Kapil’s hit show Comedy Nights with Kapil on Colors channel. They even claim that Preeti is the backbone of the show. She was also associated with Comedy Circus, which happens to be Kapil's debut show. However, they have kept their three-year-old relationship fiercely guarded. “Kapil is arguably one of the most popular television celebrities. His presence in the show will materialise into high TRPs. We are trying our best to convince him to participate in Nach Baliye, this season,” said sources. What is your take readers, should Kapil do Nach Baliye or not? Why Gurmeet Choudhary and Debina Banerjee worrying being Nach Baliye participant? The star telly couple Gurmeet Choudhary and Debina Banerjee, a confirmed Jodi of Nach Baliye, are little worried as the forthcoming season six is going to be hotter, sensuous and high on oomph factor, a reason why some of the celebrities refused to do the show. 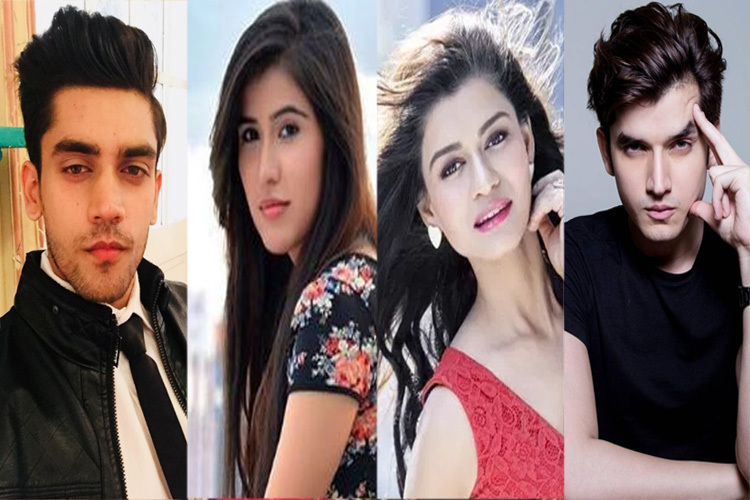 The production team, giving the reason of the bold concept, says the concept will leave no scope for actors to fake their relationship as many actors did on the previous season. Here’s hoping fans will accept the seductive Gurmeet-Debina with big heart!